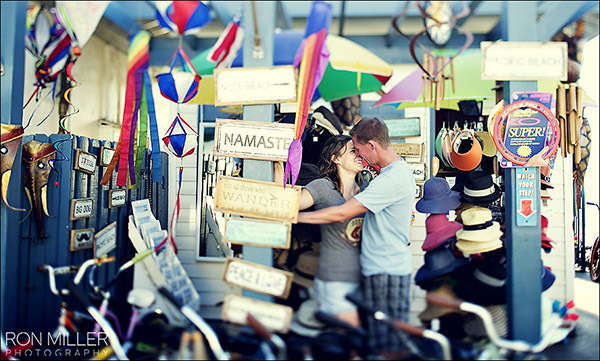 Brady & Grace are a crazy in love, newly engaged couple we got to shoot this past week in Pacific Beach. No doubt a few more of their pics might end up on potd. I stopped for a quick lens change and next thing I know they are trying on hats. Can you check a beach cruiser on Southwest? This entry was posted in California, Engagement, Pic Of The Day, San Diego.